According to researchers, just being outdoors could help lower the incidence of myopia in school-aged children. 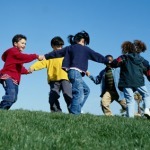 We have always heard that fresh air is good for kids. Pediatricians will suggest a stroll outside to calm a fussy baby, and they encourage outdoor play to help children develop their gross motor skills. Now new research suggests another reason to be outside: children who play in natural light may reduce their chances of developing myopia, or nearsightedness. In one of the largest studies of myopia to date, researchers tracked more than 4,000 kids for eight years and found a link suggesting that how much time kids spend outdoors plays a role in eyesight. In a study by the Georgia Institute of Technology, pediatric patients who were asked questions about their symptoms and provided information about asthma via SMS text messages showed improved pulmonary function and a better understanding of their condition within four months, compared to other groups. Vitamin therapy is a promising avenue to improving symptoms of pain, tingling and numbness in hands and feet typical of diabetic neuropathy, a study by Tulane University researchers concluded. The six-month study involved 200 type 2 diabetes patients. Some patients were given Metanx, a vitamin-rich prescription medical food developed by PamLab, a Covington, Louisiana-based company, while others received a placebo. “Within about two to three months patients taking Metanx started doing significantly better than those taking the placebo,” says study leader Dr. Vivian Fonseca, Tullis-Tulane Alumni Chair in Diabetes and past president of science and medicine for the American Diabetes Association. Sleep problems can drastically lower the fertility of young men, warns a study, reports daily mail. Those struggling to make it through the night have more problems than those enjoying a sound rest. Their sperm counts were cut by a quarter and they also had smaller testicles. The latest research is the first to look specifically at whether broken rest affects male fertility although links between sleep and health have been well-studied. Sperm counts have been tumbling in recent years amid fears that male fertility is being harmed by poor diet and lifestyle or even ‘gender-bending’ chemicals in the environment. Drinking one (or one extra) 12oz serving size of sugar-sweetened soft drink a day can be enough to increase the risk of developing type 2 diabetes by 22%, a new study suggests, reports medicalxpress. The research is published in Diabetologia (the journal of the European Association for the Study of Diabetes) and comes from data in the InterAct consortium. Researchers from Imperial College, London, led the study of more than 12,000 people with Type 2 diabetes whose diets were compared with 16,000 controls in nine European countries, including the UK. (HealthDay)—Longer breastfeeding duration is associated with increased odds of iron deficiency in healthy children, according to a study published online April 15 in Pediatrics. Jonathon L. Maguire, M.D., from St. Michael's Hospital in Toronto, Ontario, Canada, and colleagues conducted a cross-sectional study involving 1,647 healthy children, aged 1 to 6 years (median age, 36 months) to examine the correlation between total breastfeeding duration and serum ferritin, iron deficiency, and iron deficiency anemia.